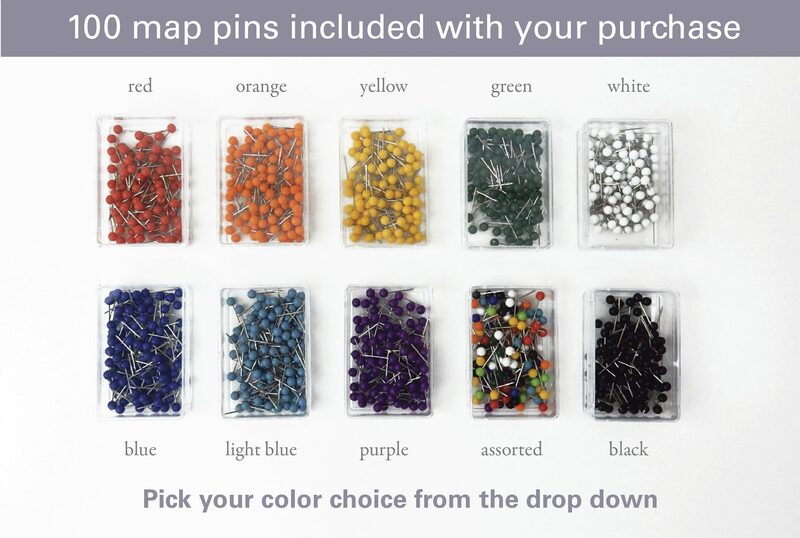 The sale version of our United States push pin world travel map is a great option! This map is huge! Printed on thick/heavy weight matte paper and ready to ship, you can get started pinning your next United States adventure soon! No personalization on these sale maps. 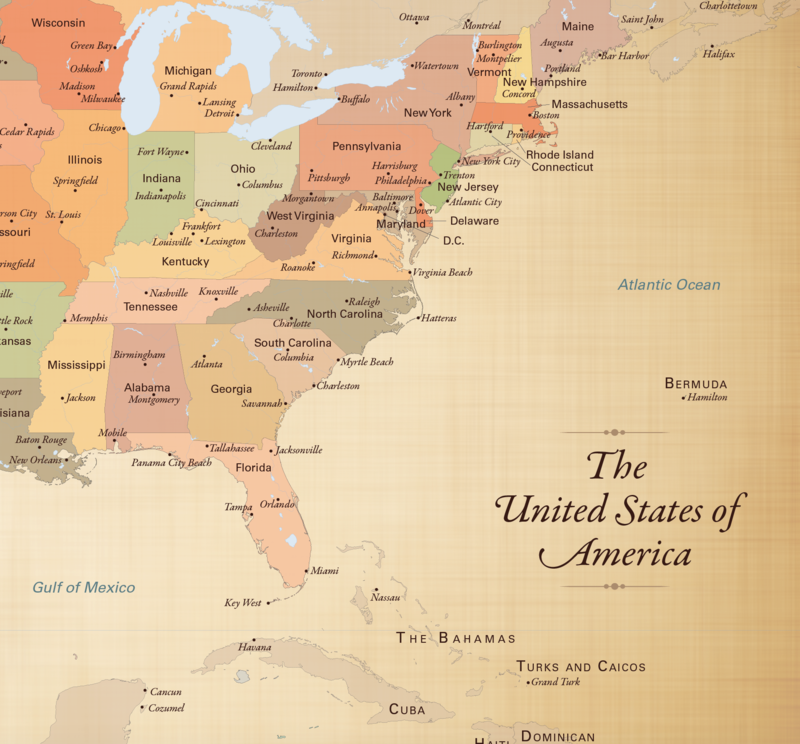 A Push pin United States map printed on matte paper. Track your adventures together. A great 1st year anniversary gift! These on sale maps are pre-printed and ready to ship. NO PERSONALIZATION available. Limited monthly stock of sale maps. Please take note: This item does NOT come framed or matted. The map ships rolled in a tube with instructions provided on how to DIY frame or have it done professionally and here is an easy 2 minute video showing how to do it! I bought this for my husband for our 2nd anniversary and he LOVES it. The printing is clear and crisp and it arrived quickly (I got the Rush shipping which was worth every penny). We especially liked this map because it has the states within each country outlined, not just for US & Canada. The directions included with the shipment talk about framing and backing, supplies for which I was able to get on Amazon easily (about $53) and was not difficult. Thank you so much! Beautifully done! Customized with perfection!